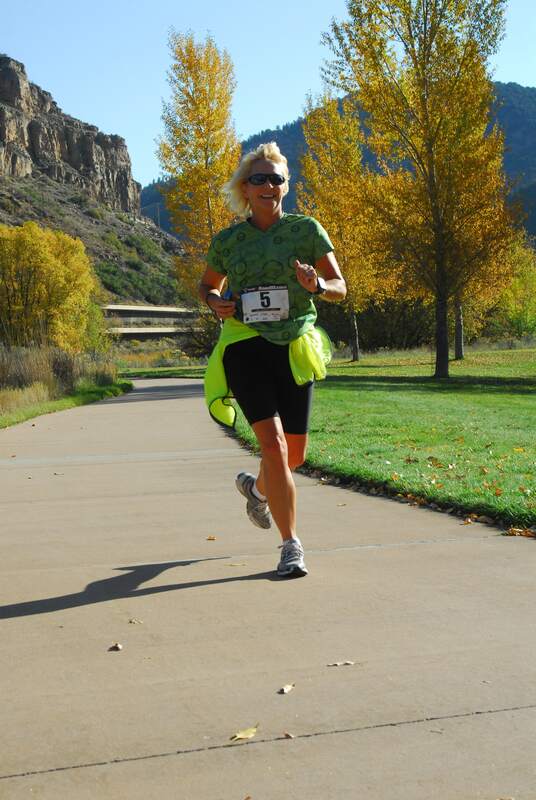 The Glenwood Canyon Shuffle Race for Literacy is an annual event to benefit Literacy Outreach. The race includes a half-marathon (13.1 miles) run and a 5-kilometer (3.1 miles) run/walk. 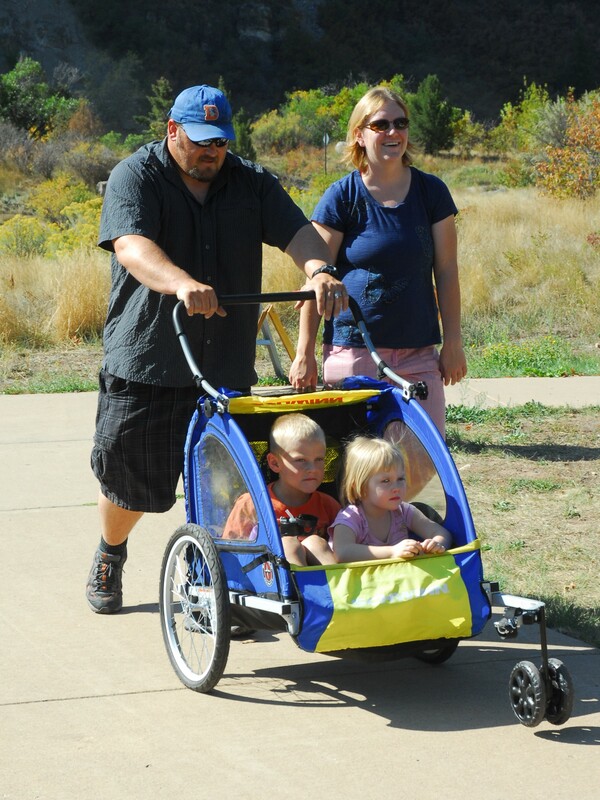 All events take place on the bike path in scenic Glenwood Canyon east of Glenwood Springs. The half-marathon begins at 9 a.m. and the 5K starts at 10 a.m. 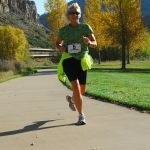 Buses will take participants from the finish line at the No Name exit of Glenwood Canyon to the race starting points. Be sure to check the Transportation and Parking for bus departure time. The initial entry fee is $40 per person in the half-marathon and $25 per person in the 5K. The entry fee price increases from Monday, September 10 to Race Day, Saturday, October 6 to $50 and $35 respectively. The race entry fee includes one way-cool, tee-shirt per person! To register by mail, download a race form at www.literacyoutreach.org and mail it to the address shown on the form. 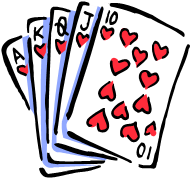 Or, register online at Active.Com; there are fees for online registration. For further information, contact the race director at 970-945-5282 or by e-mail at literacyoutreach@literacyoutreach.org. The initial entry fee for the 5K is $25 per person. The entry fee price increases to $35 from Monday, September 10 to Race Day, Saturday, October 6. The race entry fee includes one way-cool, tee shirt per person! The 5K starts at 10:00 a.m. Buses will take participants from the finish line at the No Name exit of Glenwood Canyon to the race starting point. 5K transportation will leave at 9:30 a.m. Please leave enough time to pick up your race bib and T-shirt before the buses depart. We ask that racers not park at the 5K start due to limited space. Additional parking will be available at the Glenwood Canyon Resort near the No Name rest area. 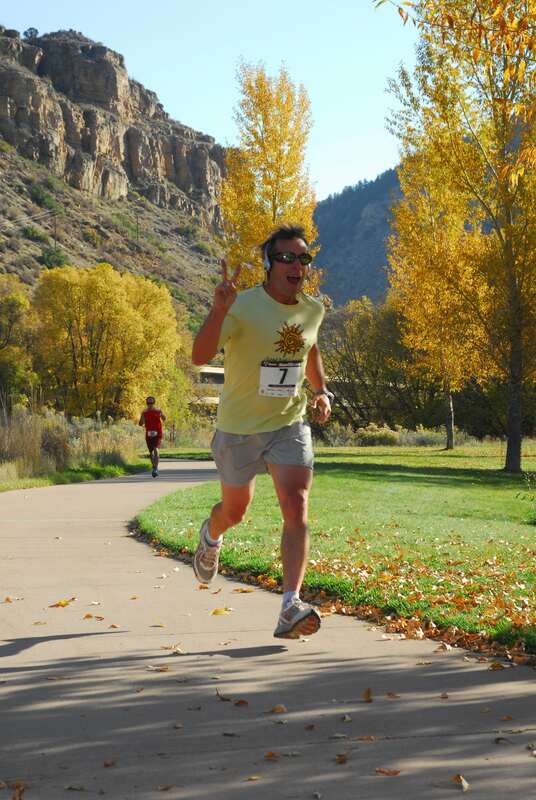 The half-marathon is13.1 miles and takes place on a concrete bike path in the scenic Glenwood Canyon. The initial entry fee is $40 per person The entry fee price increases to $50 from Monday, September 10 to Race Day, Saturday, October 6. The race entry fee includes one way-cool, tee-shirt per person! The half-marathon begins at 9 a.m. Buses will take participants from the finish line at the No Name exit of Glenwood Canyon to the race starting points. The half-marathon bus to the start will leave at 8:15 a.m. sharp and take runners to the race start. Please leave enough time to pick up your race bib and T-shirt before the buses depart. 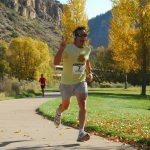 Runners also can drive to the half marathon race start at the east Glenwood Canyon trailhead, but will have to arrange post-race pickup of their vehicles. Additional parking will be available at the Glenwood Canyon Resort near the rest area. Not only will you benefit Literacy Outreach, but you can also win great prizes. 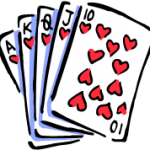 We’re shuffling the deck, too…each racer gets five playing cards with a $100 reward for the best poker hand! Prizes will be awarded at approximately 11:30 a.m.
Racers should park at the race finish at No Name rest area at Exit 119 on Interstate 70 east of Glenwood Springs. Half marathon bus to the start will leave at 8:15 a.m. sharp and take runners to the race start. 5K transportation will leave at 9:30 a.m. Please leave enough time to pick up your race bib and T-shirt before the buses depart. Bus transportation is courtesy of RE-1 School District. 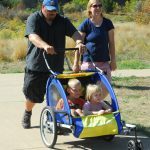 Runners also can drive to the half marathon race start at the east Glenwood Canyon trailhead, but will have to arrange post-race pickup of their vehicles. We ask that racers not park at the 5K start due to limited space. Additional parking will be available at the Glenwood Canyon Resort near the rest area. This is also a wonderful place to rent a cabin or pitch a tent. A shuttle, courtesy of Blue Sky Adventures, will shuttle people to and from the parking area. Water and refreshments will be provided at rest areas and finish line. Aid stations are located at Bair Ranch, Hanging Lake, Shoshone, Grizzly Creek, and at start and finish lines. 5K awards will be handed out at approximately 11:15 a.m. and half marathon at 11:30 a.m. at the No Name rest area. Showers are available for the price of a pool pass, good for use all day and evening at the Hot Springs Pool in Glenwood Springs. Alpine Bank, Bank of Colorado, Bay Equity Home Loans, Blue Sky Adventures, Colorado Department of Transportation Connie Delaney Medical Library of Valley View Hospital, Crystal Property Management, , FCI Constructors Inc., Gallegos Construction, Grand River Hospital District, Independence Run and Hike, Joyce Webb Ceramics, Kiwanis Club of Glenwood Springs, Roaring Fork School District RE-1, Stoneyard Distillery, and the 50 community volunteers who make this event happen.